Experience, passion and professionalism characterize our leading company in the construction of stairs. Customer support is a strong point in our organization. From the inspection to meet your wishes and expectations, we design internally to give shape to the ideas, with attention to the finishes and the processing of the materials. 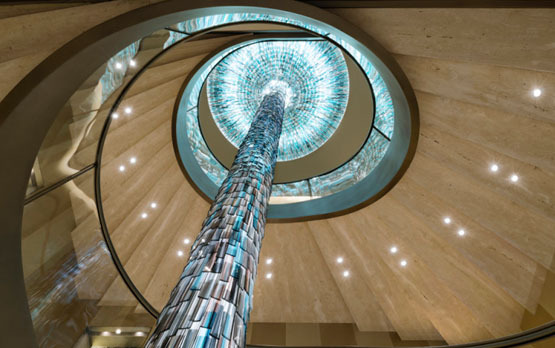 We create staircase with artisan mastery; we cut, bend and shape steel and iron, with professionalism and attention to detail. We place the ladder with continuous assistance, inserting it into the environment where it was conceived. We use guaranteed materials, such as our processes that position us in the market, as a certified company for years. 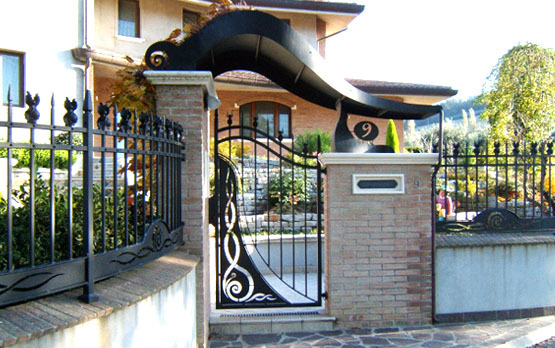 In addition to the stairs we create winter gardens, railings, gates, windows, doors, fixtures, furnishing accessories and any work in iron or other alloy that requires craftsmanship, the pride of our company. The history of the Leurini company began in the early 70's. Its founder Giuseppe Leurini learned the workers in one of the historic companies of Riccione manufacturing chairs, tables (still visible today in the garden of the Grand Hotel) beds, swings and wrought iron gates. In the mid-seventies the company was transformed and began to produce mechanical parts and equipment of various kinds. In 1989, the turning point, together with his sons Mirco and Morris, who moved their first steps in the world of metal furniture, first producing small objects in wrought iron such as handles, candlesticks, tables and chairs up to start some collaborations with architects who brought the company to produce furniture in shops, hotels, villas, offices and banks. In the autumn of 2000, the sons Mirco, Morris and Marco founded Leurini Brothers alongside the processing of metals such as stainless steel, corten, brass, zinc and aluminum with iron that historically the company has always worked. At the same time, an efficient technical office grew internally, which began developing projects in collaboration with architects and designers, such as scales of various types, the company's main business. Today Leurini gathered experience, research and knowledge that allowed him to develop a new branch of company dedicated to bending sheet metal of several alloys. In continuation with the past, new challenges will continue to characterize the action of Leurini.